The Catalan-born creative director duo Cristian Borillo and Martin Cespedes, better known as Hunter & Gatti, are responsible for campaigns for Hugo Boss, Guess by Marciano and Massimo Dutti. In our interview you can follow their journey to a more artsy field; for example with their brand new book »Carne«. Hairstylist Ward c/o Bryan Bantry Agency and Candice Swanepoel take on a journey through Vogue Brasil’s January issue. The editorial was shot by three different photographers: Mariano Vivanco, Jacques Dequeker and Zee Nunes. Hair by Ward Stegerhoek and Reilson Moreira, Styling by Pedro Sales and Yasmine Sterea, Makeup by Henrique Martins and Ayami Nishimura. Rosie Tapner for the January issue of Spanish Vogue magazine captured by Horst Diekgerdes c/o Shotview and styled by Claudia Englmann. Hair by Marki Shkreli, Makeup by Stephanie Kunz. Kai Z Feng captures feminist supermodel Cameron Russell for the February issue of Elle UK. Photographed in the desert of Palm Springs Cameron shows pieces from Dior, Chanel and Calvin Klein to name a few. Shotview photographer Daniel Roché presents pieces of gold for Maxima. In terms of beauty, gold is one of the most precious colors in fashion - as glitter, lipstick or nail polish, just try it out! 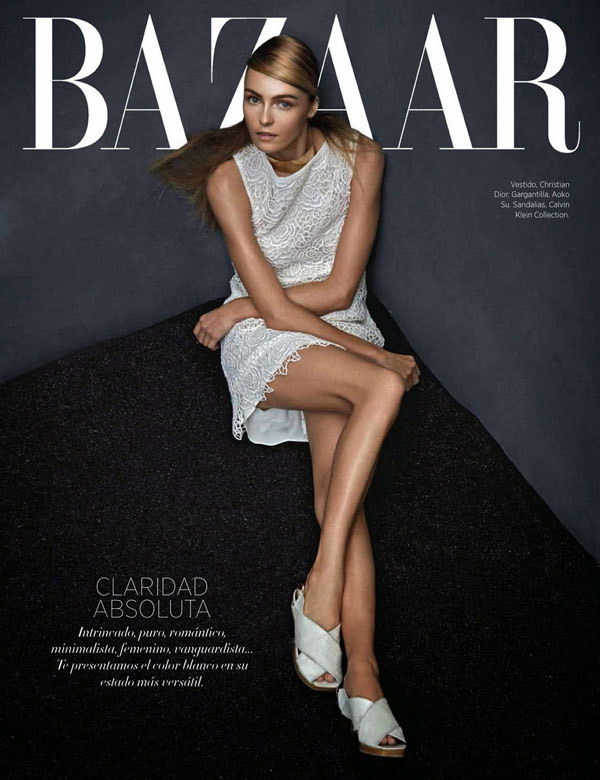 Hans Neumann photographed Valentina Zelyaeva for Harper’s Bazaar Latin America for this year’s all white issue first cover featuring designers such as Calvin Klein, Chloé, Dior, Burberry, Balenciaga, Louis Vuitton and Yigal Azrouel. Alessio Bolzoni shot the advertising campaign for the KRISVANASSCHE spring/summer season. The French label reflect a transversal inspiration where the contemporary wardrobe mixes classical lines with the ruggedness of workwear. Drew Barrymore is still the most fun girl in Hollywood. She poses in front of Jan Welters’ (c/o Open Space Paris) camera for the February issue of Marie Claire US. The photo series comes across as adorable, cheerful and amusing.